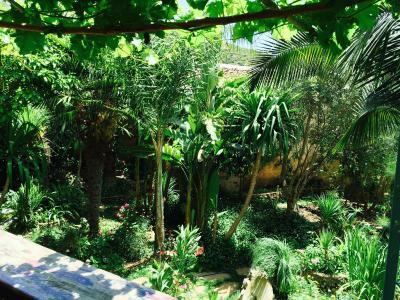 Lock in a great price for Hotel Molino Garden – rated 8.9 by recent guests! We liked the location. It was close to the edge of town and the hillside. There were lots of plants all around. It's close to the main square. Great staff, ADORABLE decor. The quintessential place to stay while visiting the blue pearl. Breakfast out by the garden was beautiful. Had a beautiful garden terrace where you can sit and enjoy a nice tea in the morning, mid-day, or even at night courtesy of the staff. Everyone was extremely nice and helpful when we had questions. 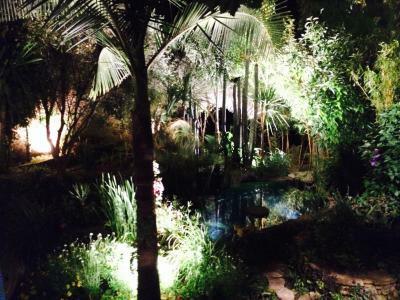 Really nice garden and beautifully designed hotel. Wonderful cats! 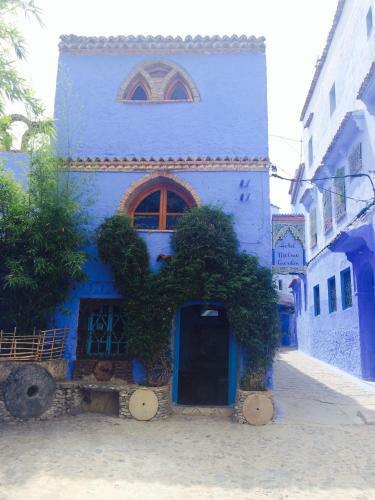 The location was amazing in the old part of the blue city. The hotel building, itself, was so charming and perfect. We had the best room as they were able to accommodate us having a private bath, which we appreciated so much. The staff were incredibly nice, welcoming and helpful. The breakfast was the best we had on our Morocco whirlwind trip with cheese, eggs, different breads, honey and jam, and good coffee. We had to pay a guide to help us find the hotel at first, but once we did it was easy to find again. We would definitely go back to stay there again! 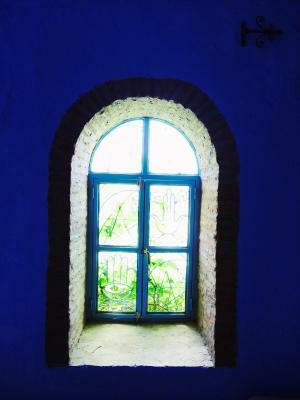 One of our best sellers in Chefchaouen! 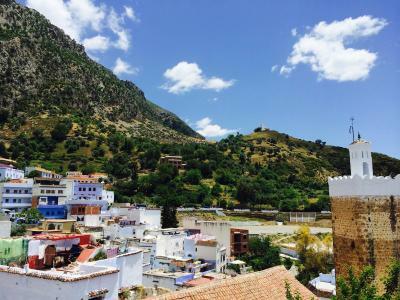 Hotel Molino is located in Chefchaouene’s medina, just a 5-minute walk from the Kasbah and a 2-minute walk from the Ras El Ma waterfalls. It offers a large terrace with mountain views. 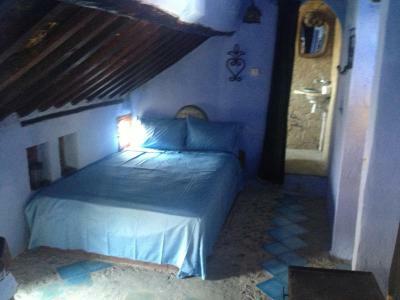 The rooms at Hotel Molino have views of the mountains and an private bathroom with a shower. 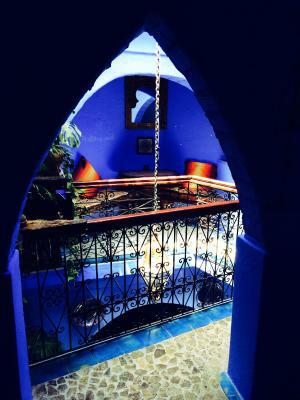 You will also have access to a Moroccan-style lounge, where you can relax by the fireplace. Free Wi-Fi access, private parking at an extra charge and a 24-hour reception are some of the other facilities provided at this property. Tangier Airport is 75 mi away. When would you like to stay at Hotel Molino Garden? With views of the mountains, all rooms have an private bathroom, which is complete with a shower. This double room has a mountain view. It gives access to shared bathroom facilities. Featuring a terrace with garden view, this apartment is 50 square yards. It includes a private bathroom fitted with shower. House Rules Hotel Molino Garden takes special requests – add in the next step! Hotel Molino Garden accepts these cards and reserves the right to temporarily hold an amount prior to arrival. Please note that the private parking is 150 feet from the property. Very nice and welcoming hotel. Great position to walk around and easy to find.the staff was very friendly. Best of all is the breakfast in the garden! Much more than just a really good budget option. 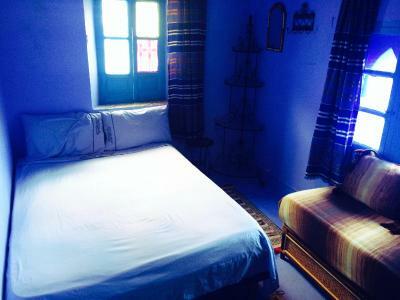 Molino garden has nice small rooms with a comfy bed and a heater that makes you feel cozy even in cold nights. 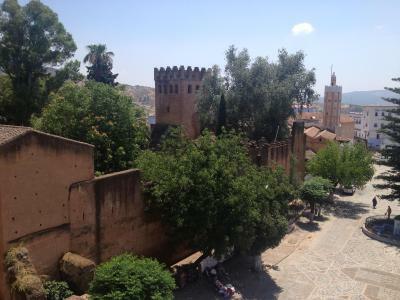 The location is very convenient in a calm part of the medina. The Wifi signal is good in every part of thr hostel. The staff is really friendly and speaks Spanish, English and French fluently. The highlight is the terrace with a view of the beautiful garden. We can recommend Molino garden 100%! The staff was incredibly nice and helpful! The room was fine and great value for money. 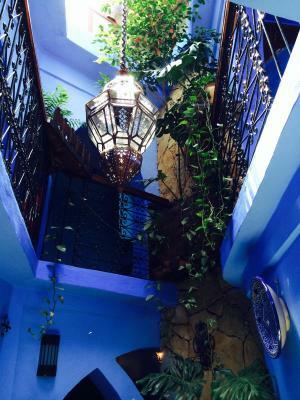 The hotel itself is the essence of Chefchaouen. The design and the furniture in the rooms, the colours, the material they used, everything is traditional and natural. 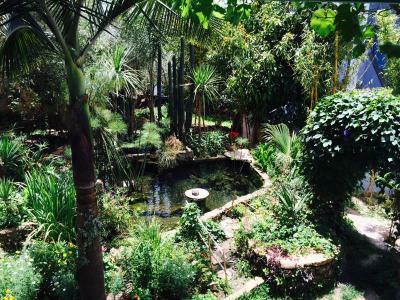 And the garden is a true oasis. The staff was very helpful and attentive. Thank you, you make a great job! We met first Omar, he welcomed us so kindly and he was helpful. The property was very clean and well designed. 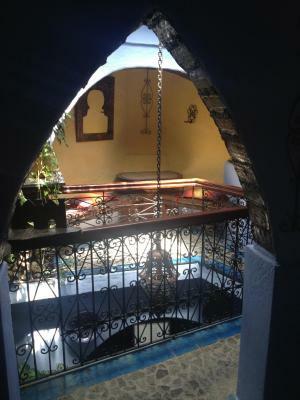 We loved their animal friendly place and breakfast which is the best breakfast you can find in Morocco. 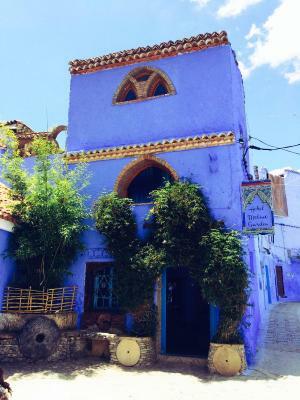 Besides that, Do not leave Chefchaouen without seeing their amazing garden! 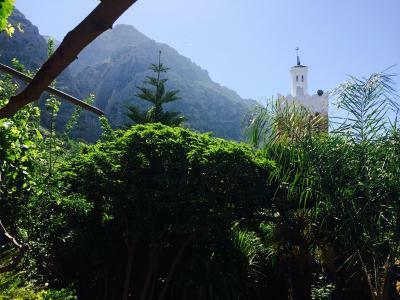 The hotel is tucked in a quiet corner, a short walk from the main square. Yassim and the staff were incredible. They were extremely hospitable and kind, always offering a cup of Moroccan tea after a long day. They made our 3 night stay feel like home. Breakfast was delicious. Garden patio is gorgeous. There was no soap or shampoo in our rooms. 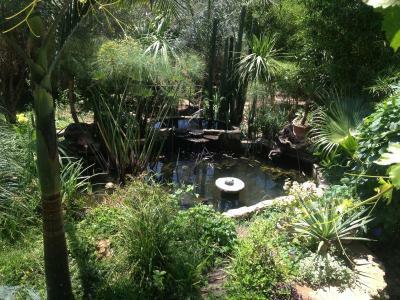 Beautiful gardens...amazing breakfast. Rooms are a lot better compared to photos. It would have been better to have some channels on TV as you can relax at night watching some Moroccan channels. I like the entirety apartment, how easy was to find anything from there, the huge garden and the nice welcome. It is located across the mosque. Early prayers wake you up but because we were in chefchaoeun towards the end of our holidays, we got used to it. Bring earplugs. On our last day the hot water wasnt working but they got it fixed during the night. Staff are friendly. They have heater and hot showers. The place is warm and cozy. Their breakfast was great and good value in comparison to other restaurants. Staff were attentive and helpful. Perfectly clean and well decorated. Lovely view from the terrace. Would stay again.